Sales of music CDs are waning big-time. Digital downloads from iTunes and Amazon are declining, too. The reason: listeners are flocking to streaming music services like Pandora, with 79 million users, and Spotify with 75 million (see the list of players below). Despite robust customer counts, however, neither Pandora nor Spotify appears to be making money, and recording artists are unhappy with meager royalty payments. That struggle for a business model may mean, reports John McDuling in Quartz that it will be tech giants Apple, Google and Amazon who determine the industry’s future. 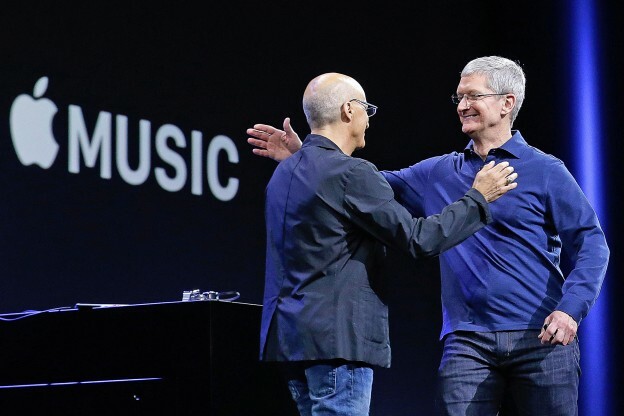 In June 2015 Apple, already the leading seller of digital downloads via iTunes, announced its Apple Music streaming service, born out of its 2014 acquisition of Beats Music. The company also touted enhancements to its free iTunes Radio service. Despite starting from scratch in the streaming space, Apple will have the huge advantage of its installed base of iPhones, iPads and iTunes customers. Google, with its Google Play, YouTube music videos and Android phone presence, will likely step up to the streaming challenge, as will Amazon with its Amazon Prime Music service. More information about streaming services here and here.